You may have a Thyroid Disorder. 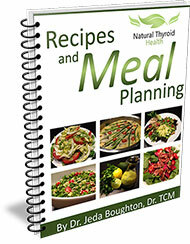 Natural Thyroid Health. If you live in Vancouver and you’re struggling with stress, fatigue, weight gain, infertility, insomnia or pain, I think I can help you. I also suffered from a thyroid disorder, and wasn’t as healthy and energetic as I am today. In 1998 I struggled with fatigue, stress, digestive issues and muscle aches and pain. It became harder and harder for me to function. My memory was failing me, I was losing weight rapidly, and I couldn’t make it through the day without a nap. I could no longer go to the gym for regular exercise, and countless visits to walk-in clinics went nowhere. Every time I visited the doctor, I was advised to go home and rest. I visited doctor after doctor, and ended up in the emergency room with a high fever, tremors, and a mouth full of fever blisters. Every time I visited the doctor, I was told to go home and rest. When you’re sick, it’s not always easy to put a label on your illness. Blood tests and diagnostic exams may not provide the answers – and doctors may even tell you, “There is nothing wrong with you”. Western medicine often neglects your symptoms. While lab tests are a great way to diagnose extreme imbalances – the most effective form of diagnosis for thyroid conditions is based on clinical signs and symptoms. There’s an effective way to regain your health naturally, and to avoid the confusion that has put the lives of so many women on a downward spiral – who believe they are going to get better after a diagnosis. I knew I had to take things into my own hands, so I started to research my condition. Many months later I discovered the problem. The reason I wasn’t getting better is because doctors were treating my disease instead of treating me. In other words, doctors were not treating my body as a whole or an entire system – and in not doing so, they were never going to get to the root of the problem. 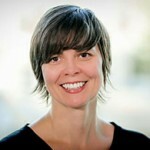 When I discovered the true nature of my imbalance and how to treat it, I was thrilled with the results. After just a few months, I felt refreshed and energetic all day. That experience inspired me to study Traditional Chinese Medicine – to help other women who struggle with thyroid disorders – to help them get their lives back. Just like I did. You don’t have to live the rest of your life feeling tired, bloated, and foggy-headed – and made to feel like there’s nothing wrong with you. Today, I am pleased to share with you vital information about thyroid and adrenal health gathered over the past 15 years. If you’re ready to discover how to boost your immune system, reduce stress, detoxify, and support the many systems of your body, enter your email below to get my FREE Report today. The reason you’re still gaining weight, even when you are limiting your food intake and get more active. Four important reasons why the TSH blood test is NOT an accurate way to diagnose a thyroid problem. The biggest problem with synthetic thyroid hormones such as Levothyroxine, Levoxyl, Synthroid, and Eltroxin and the unfounded myth about natural thyroid. The two most important things you need to know to avoid become a victim of thyroid misdiagnosis. The reason your adrenal glands kick in to overdrive and slow down your metabolism when you think you are on the right track. Health is about having the energy, motivation and mobility to do the things you need and love to do – including your relationships, career and hobbies. 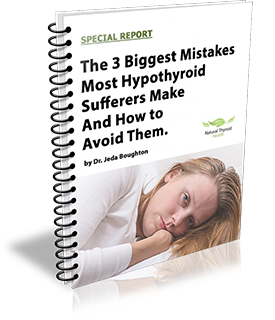 Don’t let thyroid and adrenal issues keep you stuck. Start freeing yourself today by reading my free Special Report gift. If you have tried many things before, or have just given up on your health, I want you to know there are solutions. I came out the other side of this battle and today I’m a thyroid specialist in Vancouver BC who wants to help you do the same.